Human beings are programmed to respond automatically in a variety of ways to a threat including freezing, escaping, and dissociation. Traumatised individuals often report considerable distress and self-criticism about these normal, natural, and involuntary responses. 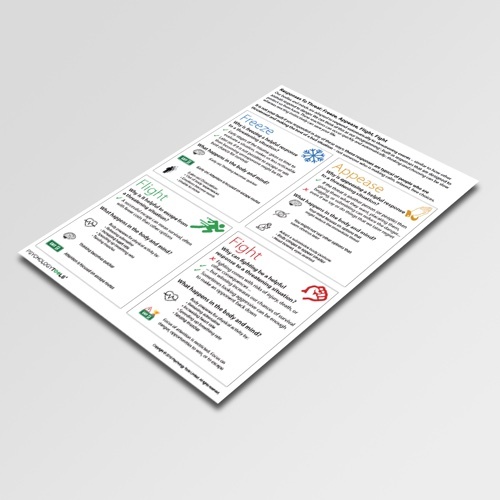 The Responses To Threat: Freeze, Appease, Fight, Flight information handout is designed to help you share this essential information with your clients. 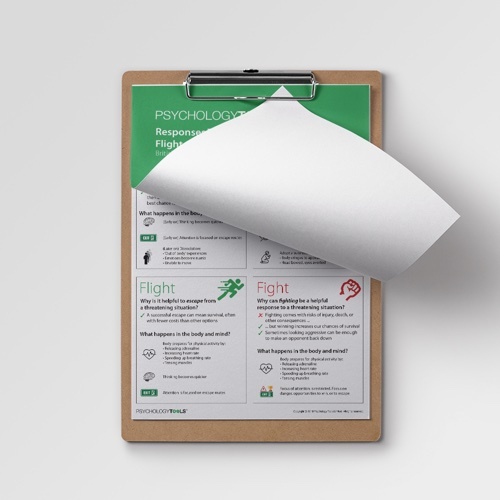 Teaching clients details of the fight or flight response is a common part of treatment for anxiety disorders. 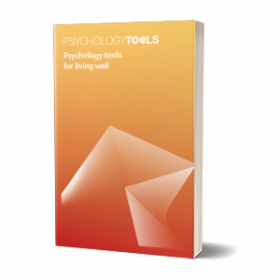 However many individuals who have survived trauma may have experienced other automatic physiological and behavioral responses during their trauma including freezing, dissociation and appeasement. Traumatised individuals are often extremely self-critical concerning ways that they did or did not respond during a trauma. 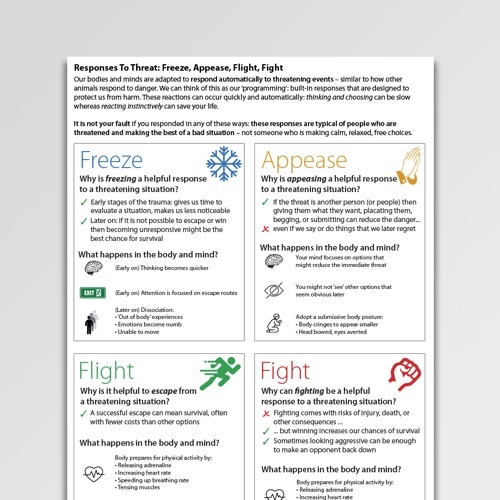 The Responses To Threat: Freeze, Appease, Fight, Flight information handout is designed to give these clients essential information about common responses to threat. Clinicians should note that this handout is a somewhat simplified version of Shauer & Elbert’s (2010) ‘defence cascade’. 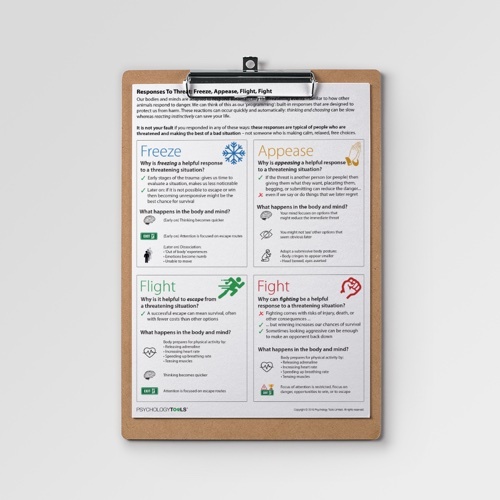 Specifically, it condenses their ‘freeze’ and ‘fright’ responses into ‘freeze’ and then helps clients differentiate whether their freeze response happened early in the traumatic event (in which case dissociation is less likely) or later in the traumatic event (in which case dissociation is more likely). Schauer M., Elbert T. Dissociation following traumatic stress: Etiology and treatment. Journal of Psychology. 2010; 218: 109–127. Walter Bradford Cannon (1929). Bodily changes in pain, hunger, fear, and rage. New York: Appleton-Century-Crofts.